Founded in 1832, the Grange Cricket Club is one of Scotland’s leading cricket clubs. Our picturesque ground is located in the Stockbridge area of central Edinburgh and regularly hosts Scotland's international matches. We have three weekend league sides. The 1st XI play in the Cricket Scotland League Eastern Premiership. The 2nd XI play in the Championship Division and the 3rd XI in Division 3 of the East of Scotland League. 2018 was a very memorable season for the Club with the 1st XI completing 'The Treble' - winners of the Eastern Premier Division, National Club Championship and the Scottish Cup. To top it all, the 2nd XI won the ESCA Championship for the first time. The 3rd XI competed strongly in East Division 3 but finally had to settle on fourth place. Our U15's won their Scottish Cup and were Scottish Regional winners of the ECB Vitality Club Championship. Guaranteed sunshine from May to July, a low number of injuries, juniors breaking into the senior teams and performing, delicious BBQs, and a great club spirit were all contributing factors - and we did it all without the help of Ryan Sidebottom!! A highlight of recent years has been the growth and achievements of our Junior Section, now with 180 plus members. We offer regular coaching from the age of five (initially using the Kwik Cricket format) for both boys and girls, and junior teams start at under 10. Please see under Junior Stags. 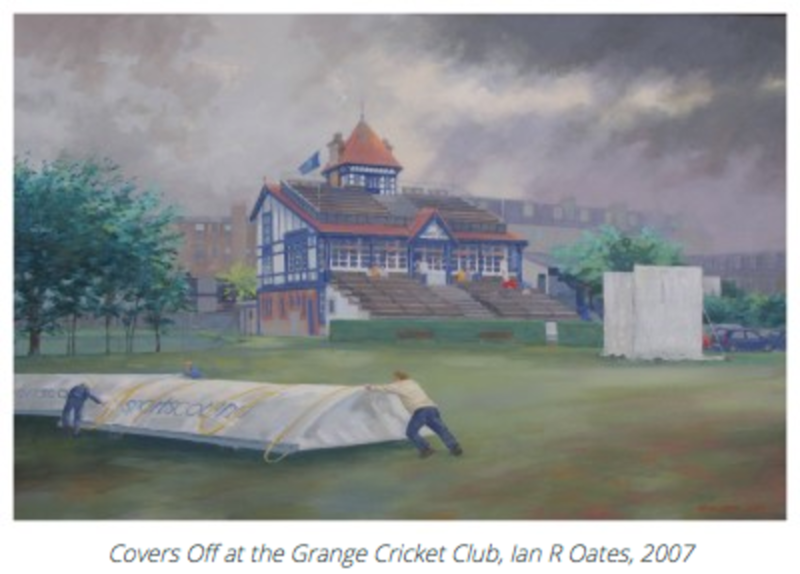 For further details please click here to visit the Grange Cricket site.